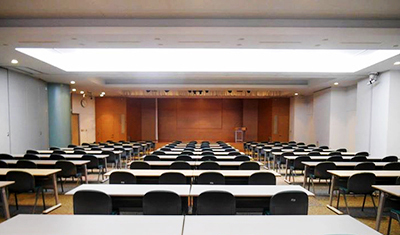 YRP Hall is spacious enough to hold a large scale symposia and workshops and equipped with the video system with 150 inch wide-screen, audio visual devices for various presentation styles, three simultaneous interpretation booths, and WiFi. 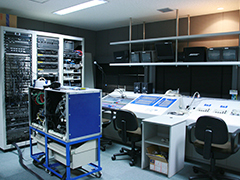 It is capable of accommodating 270 people. 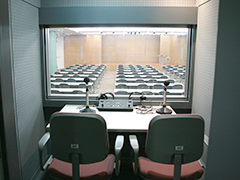 3 booths are prepared for simultaneous interpretation. 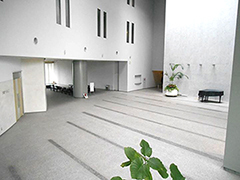 This space can be used as an exhibition space and space for coffee break.